Genre Writing: Recount - St. Joseph's N.S. 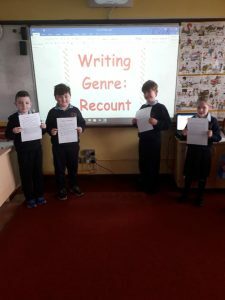 During September and October 2nd and 3rd Class have been busy learning about the Recount genre of writing. We have planned, drafted, written and typed up our very own recount pieces for display in our classroom.